Cambridge, Mass., Sept. 30, 2015, — The ancient Chinese game Weiqi, also known as Go in the US, is the only board game that super-computer hasn’t defeated human yet. 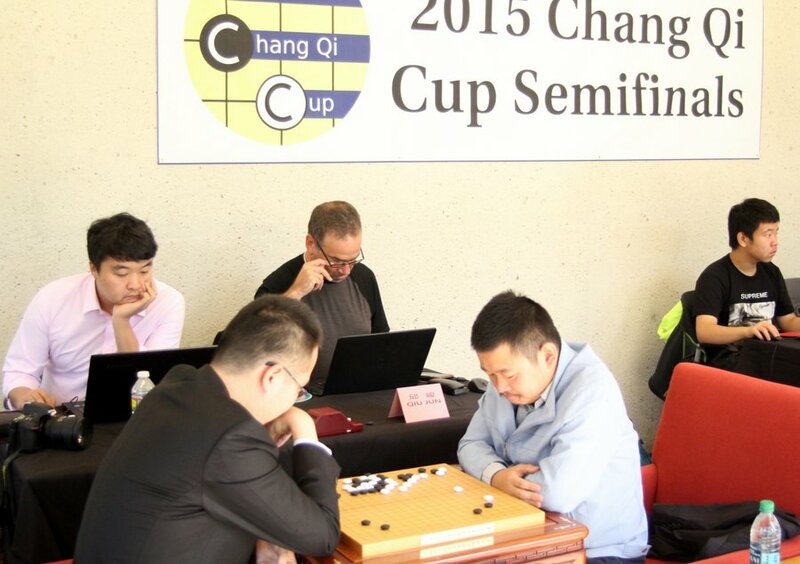 For the first time in history, the semi-finals of an Asian professional Go tournament: 2015 China’s Chang Qi Cup was held on U.S. in the North America at Harvard campus from Sept. 26 to 28. Picture from the semi-final match on Sunday, Sept. 27(photos by Xinming Li). The winners are Qiu Jun (9D, 邱峻) and Lian Xiao (7D, 连笑). They will compete for the Championship of 2015 Chang Qi Cup and 400,000 RMB prize in Guangzhou, China on Nov. 2. They defeated their opponents 2:1 in three matches. Mr. Qiu Jun is the veteran of the group and an established competitor on the international scene, having won the Chang Qi Cup in 2008 and reaching the finals of the Fujitsu Cup in 2011. He is known for his deep concentration and serious countenance during tournament play, always using all of his allotted time. He has a thick, solid style, and a fierce endgame. Mr. Lian Xiao is one of the rising stars of the Go world. Ranked #11 in China as of March 2015, he has already won several domestic titles and continues to climb the rankings. This would be the biggest title of his career so far. In conjunction with 2015 Chang Qi Cup semi-finals, the ACGA and American Go Association (AGA) hosted the inaugural American Chang Qi Tournament at the same time. This is an AGA-rated, 5-round tournament with multiple divisions determined by ranking (e.g., 2 kyu – 4 kyu) and an Open Section for strong players. Cash prizes for division and team winners total $12,000. There were also a number of Go activities available for the public, including simultaneous teaching games with visiting pros, free play, a learn-to-play area for beginners at the venue. Over 250 people showed up for the three-day event. People who enjoy playing Weiqi from other US cities, and even some from other countries traveled to Boston for this once-in-a-lifetime opportunity to play GO with four world champions, and other top players at Harvard. Min Xiao of Harvard and Ing Minghao pose for a picture(photos by Xinming Li). Mr. Ing Minghao, president of Ing Foundation, continues his father Ing Chang-Ki’s mission and passion for promoting the weiqi and spread this great legacy of the Chines culture around the world. During an interview with bostonese.com, Mr. Ing mentioned that he was very pleased with the growth of weiqi in the US, and hoped that top US players can someday compete for championships of Chang Qi Cup. 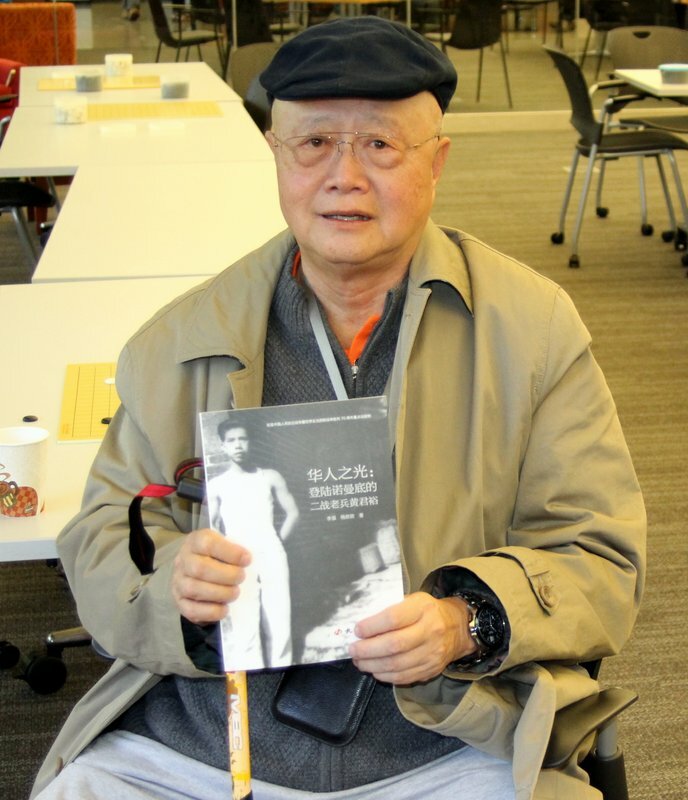 Mr. Ing was presented a biography of Chinese American WWII veteran Arthur Wong. 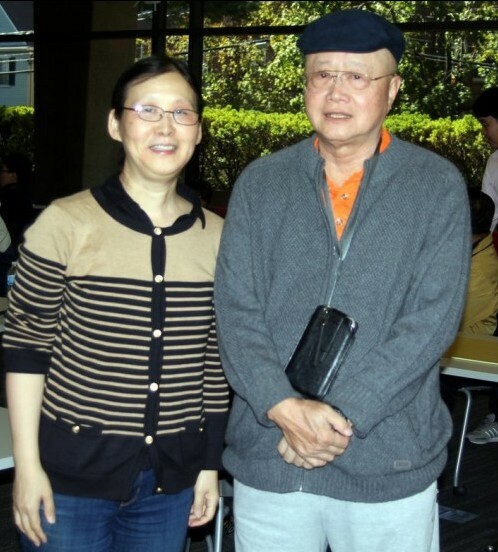 Former Weiqi world champions Chang Hao and Yu Bin attended this event. It’s the third time visiting Boston for Mr. Chang over past two years, including appearances at Go Expos at Harvard and MIT in 2013 and 2014. 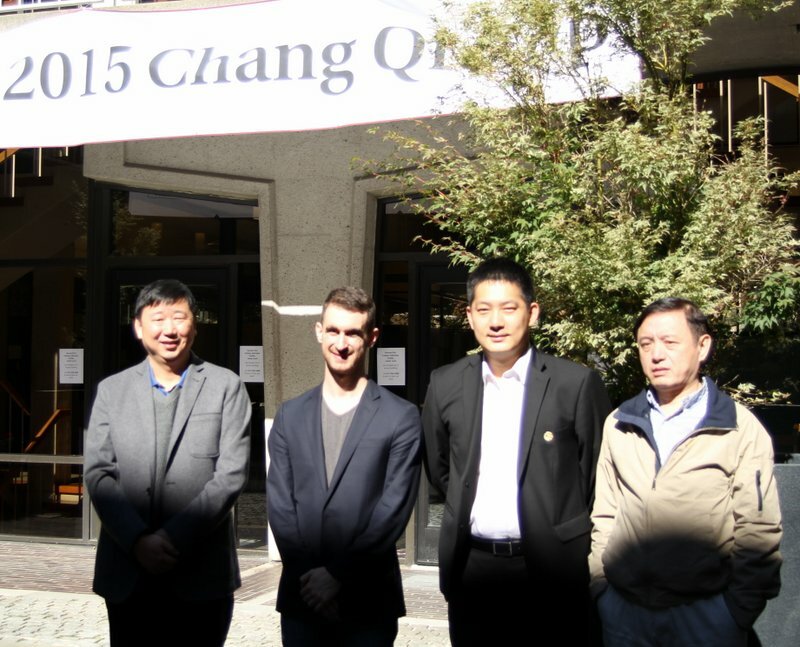 He thanked Ms. Min Xiao and other organizers at Harvard for hosting the semi-finals of Chang Qi Cup this year. (L to R)Yu Bin, Michael Fodera, Chang Hao and Zhang Jiandong at site of 2015 Chang Qi Cup semi-finals(photos by Xinming Li).